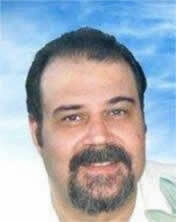 Spyros Mavropoulos was born in Corfu in 1956. He made his first steps in music in the Philharmonic Society “MANTZAROS” taught by the teachers George Kourkoulos at the trumpet and the conductor Stephanos Dolianitis. Simultaneously he studies the accordion with the music teacher Isidoros Grek. Later he studies Harmony at the “Greek Conservatory”, with Christos Bozikis and Miltiadis Koutougos, counterpoint, fugue and arrangement with Dimitris Katsibas, trumpet with Dimitris Kafiris, brass instrumentation with Anastasios Remoundos and composition at the “Orphion Conservatory” with Vaggelis Kokoris. He has also studies piano with George Georgiadis and classical guitar with Gerasimos Pylarinos. He has composed and adapted many works for various brass and wood ensembles, Symphonic Orchestra, Wind Band, Duo, Trio, mixed and male chorus, as well as voice with stringed instruments. He started composing music in 1980. Many of his works have been performed in Greece, Germany, Russia, the USA, Italy and Australia by known musical ensembles, like “Melos Brass Quintet”, “Oshkosh Brass Quintet”, “Milenium Brass Quintet”, “Pindaros Brass Quintet”, “Sonus Brass Quintet”, “Brassmania Quintet” “Tal Quintet”, “Quintet Synichin”, “Trio Korifo”, Wind orchestra of the Cathedral Church of Wirsburg”, “The ERT Orchestr”, “Symphonic Orchestra of the Albanian Radio-TV”, “Orchestra of the Lyrical Theatre of Tirana”, “Philharmonic Society of Corfu”, “Philharmonic Society Mantzaros”, “Athenian Philharmonia”, “Chamber woodwind quintet”, “London Wind Concert Band”, “Moscow Wind Band”, “String Quartet” of the Camerata of the Megaron Athens Concert Hall” and the stringed quartet “+Movement”. Additionally he has participated in international composition contests and conventions, like the “Georgia University Composition Competition for trio brass” (1994), “Louis and Virginia Sudler International Wind Band Composition Competition” (1999), “Philadelphia Youth Quintet Composition Contest” (1999), as well as international festivals, like the International Guitar Festival (1997), at the “Wisconsin Sesquicentennial Brass Band Festival” (1998) and the International Convention for the Oboe IDRS, Buenos Aires (2000), where he participated with his composition “Susta” for oboe, fagotto and piano. 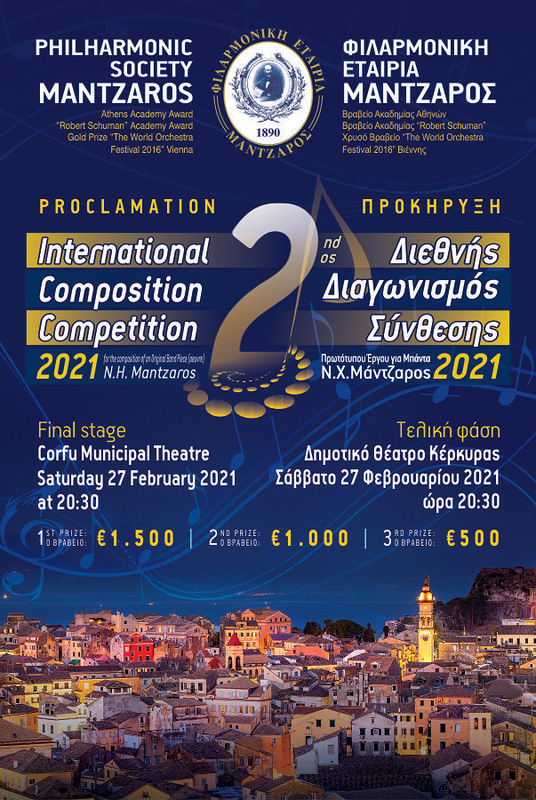 Works of his have been performed by great soloists like Socratis Anthis (trumpet), Spyros Mourikis (clarinet), Rosa Poulimenou (soprano), Pantelis Kontos (baritone), David Campbell (clarinet) and Rober Bobo (tuba). Some of his works have been recorded by renowned groups like “Eperotic Jokes” by the “Trio Koryfo”, “Short sea journey” by the “Tal Wind Quintet”, “Corfu Suite” by the “Melos Brass Quintet”, Isolation” by the “Ionian University wind ensemble”, Memories of Cyprus” by the “London Wind Concert Band”, “Concerto for trumpet and orchestra Nr. 1” by the “Symphonic Orchestr of ERT” with Socratis Anthis as a soloist and conductor Gerasimos Pylarinos, “Liturgy of St. John Chrysostom, the “communion hymn” and “Cherubic hymn” by the “Phaeacian chorus” with Stelio Scordilis as conductor. Adaptations of his have also been recorded, like “O mio babbino caro”, “Come back to Sorrento”, “Strauss Stars” by the German group “Joseph Stengel Wind Band”, “Work of Eptanisian composers for voice and quintet for wind brass” by “Melos Brass. He taught as a music teacher in Secondary education and as a teacher of higher theoretics at the Music Studies Department of the Ionian University. He has served as artistic director at the “Ph. Nakas” Conservatory in Corfu as well as the “Ionian Conservatory”. He is a member of the Hellenic Union of Musicians. Works of his for wind orchestra have been published in Switzerland by the “Edition Marc Reift” editions.